This Remembrance Day marks 100 years since the end of hostility in World War I, the War to End All Wars. This week we also mark 80 years since Kristallnacht, the Night of Broken Glass, which notoriously was the beginning of what became known as the Holocaust, or Shoah. My father, George Nashen, 95, served in the Royal Canadian Air Force from December 1942 to April 1946 and was stationed at RCAF Overseas Headquarters in London, England for nearly three years. Luckily, he was not called up to the front lines. But his buddies were. Some never returned. 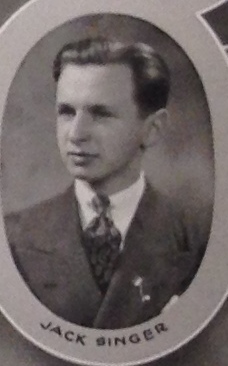 My father enlisted in December 1942 with several of his friends from Baron Byng High School, and was shipped off for two months of basic training in Toronto where the RCAF had taken over the CNE Fairgrounds. From there he was stationed at the Rockcliffe Airbase in Ottawa from February until August 1942 and then to Halifax where they boarded the Queen Mary cruise ship that had been commandeered to transport troops. “We were 26,000 troops and 1,000 crew members crammed into the ship for the four day crossing to London, England,” my father told me. “There were 54 troops to a room and we took turns sleeping, 27 at a time slept on the hammocks lined up three high in nine columns,” he said. “It was so uncomfortable and there were so many disturbances that I chose to sleep in the hallways and stairwells. But the ship would list from one side to the other every seven minutes as it curved to avoid sailing in a straight line to escape any pursuing German U-boats. I remember the empty Coke bottles rolling bake and forth in the halls and hitting the walls preventing any rest there as well,” my dad said. “In London, we slept in the Canadian Legion Hall until we could find an apartment,” my dad reminisced. There were no barracks in the city as they couldn’t chance losing so many soldiers in a targeted German bombing raid. “One night a bomb fell right outside the Legion Hall and blew in the doors and windows. As the glass flew and the ceiling collapsed I immediately rolled under my bed to take cover,” he said. “I yelled out to my buddy, Mel Nicol. ‘Are you alright Nic?’ Mel Nicol was real joker and responded, ‘I’m not sure, I’m looking for my leg’. Of course, he was just fine,” George said. George and Mel eventually rented an apartment at Queens Gate Gardens about a 30 minute walk from Harrods, where the RCAF set up their administration and accounting division. We often joke that my father served in women’s lingerie during WW II, in reference to the department in Harrods where the Accounting Office was located. They were paid $2.50 per day subsistence allowance for their lodging and another $1 for food. As an Aircraftsman 2nd Class they received $1.30 per day. Dad used to send $10 per month back to his Mom in Montreal to save for him. Upon his return, three-and-a-half years later he had saved up about $300. One night they were awakened by a bomb blast and heard that the nearby hospital was hit. Mel and George raced over to offer their assistance only to find out that 30 babies had been tragically killed. “It was the saddest day of my life,” my father said. Back at Harrods he was busy taking care of Airman Pay Accounts to ensure each of the troops received their salary. Daily Routine Orders were meticulously entered for the tens of thousands of airmens’ accounts, all manually, of course. My father endured the bombardments and hardship of everyday life in London but fortunately was safe relative to so many others. The thick, dark clouds that hung over the city many nights from fog made it impossible to see right in front of you. My father recounts as he would feel his way along the walls of the buildings on his way home, counting off the number of doors and turns in the road to find his way home. One night a bomb fell at a pub just outside of Harrods and some Londoners were killed. The next day, a young Princess Elizabeth, came by to visit and offer her support. My father watched excitedly from the window as the future Queen made her way along the street. My father returned home in April 1946. Each year, I ask dad to take out his medals and his beret and to teach my own kids what it meant to serve Canada as a soldier. They listen in amazement at his stories of 70 years ago, as they reflect on their lives in the best country to live in, Canada. WWII veteran George Nashen, 93, deposits the wreath on behalf of Royal Canadian Legion Branch 97 at the Cote Saint-Luc Cenotaph in Veterans Park. Accompanied by his grandson Cory, son Jeff and vCOP Phil Mayman. (Photo: Darryl Levine, CSL). Each year on Remembrance Day, I salute my dad, and all those who served, who paid the ultimate price, who sustained injury and who were lucky to return just like George. His bravery and commitment, and theirs, to stand on guard, to liberating those who had their freedom taken from them so many years ago, to keeping Canada glorious and free, shines like a beacon to my kids and our entire family. We’re proud of his accomplishments and grateful to still have him, and my mother, as our bridge between our past and our future. C’est un peu ironique que je sois ici aujourd’hui, représentant mon père et ma famille à cause d’un cheval qui est mort il y a presque 90 ans! Mon oncle Boris était un colporteur qui partait de Montréal et allait de village en village. Il a ouvert La Maison Boris, un magasin général sur la rue Principal de St. Leonard D’Aston en 1928. Quelque 20 ans plus tard, mon père revenait de son service dans les Forces aériennes du Canada. Ayant suivi une formation en comptabilité générale, mon oncle Boris et mon père ont commencé Nash Shirt Limited à l’étage supérieur de cet édifice, qu’ils ont éventuellement acheté, puis la piste de quilles voisine et un troisième édifice attenant, ainsi la vieille gare et quelques autres maisons. Au fil des ans, ils ont employé plusieurs centaines de personnes de la ville et des villes voisines, environ 230 employés à leur apogée. Même les femmes de la région travaillaient comme couturières à la maison. La ville se débrouillait plutôt bien pendant ces années, et pratiquement toutes les familles étaient liées d’une manière ou d’une autre au travail effectué dans ces locaux. En effet, il a été dit que Saint-Léonard « habillait le Canada ». Monsieur Boris et Monsieur Georges, comme ils étaient affectueusement surnommés, ont toujours eu une merveilleuse relation de travail avec leurs employés. Boris était tellement respecté qu’à sa mort, en 1970, presque tous les employés sont montés à bord d’autobus pour se rendre à Montréal et assister à ses funérailles. L’entreprise a continué de croître et de prospérer. Mon frère Stan a rejoint la compagnie et passait la semaine ici à l’usine. Ensuite, mon frère Barry a également rejoint le bureau de Montréal. En tant qu’étudiant adolescent, je passais plusieurs semaines chaque été à m’entraîner ici, en compagnie de mon ami, Marcel Alie, qui conduisait le camion, allait chez toutes les couturières et faisait toutes les courses. Marcel est aussi celui qui m’apprenait un bon français de campagne. Apres mes études de l’Université j’ai commencé a travaillé aussi pour Nash Shirt. Oh, les merveilleux souvenirs! Mon père, qui a maintenant 94 ans, se souvient avec beaucoup d’affection de ses années à Saint-Léonard D’Aston. Pendant toutes ces années, de 1948 jusqu’à la fermeture de l’usine en 1983, il avait à ses côtés Marcelle Hébert, son adjointe de confiance. Il garde de bons souvenirs de plusieurs habitants de la ville qui travaillaient dans cet édifice et fabriquaient des chemises et des jeans vendus dans les magasins populaires d’un océan à l’autre, des uniformes pour les policiers, des jeans pour les ouvriers et portés plus tard par une jeune génération d’adolescents et de jeunes adultes. Les gens qui ont travaillé dans cet édifice pendant plus de 35 ans ont réellement habillé tout le Canada. Au nom de mes parents, M. Georges et Mme Phyllis, de mes frères et de toute notre famille, nous saluons les résidents de la ville et des villes voisines, et tous ceux qui s’efforcent de préserver la mémoire de cet endroit merveilleux. Que cette communauté et ses merveilleux résidents continuent de prospérer pendant de nombreuses années. Longue vie à Saint-Léonard d’Aston. We are so fortunate to still have many veterans with us and honoured to be able to mark Remembrance Day and VE Day commemorations with them. 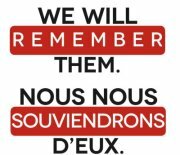 Veterans Park in Cote Saint-Luc has been a gathering spot to remember and to honour those who served and the memory of those who made the ultimate sacrifice so that we could live in such a wonderful country and in a free and democratic society. 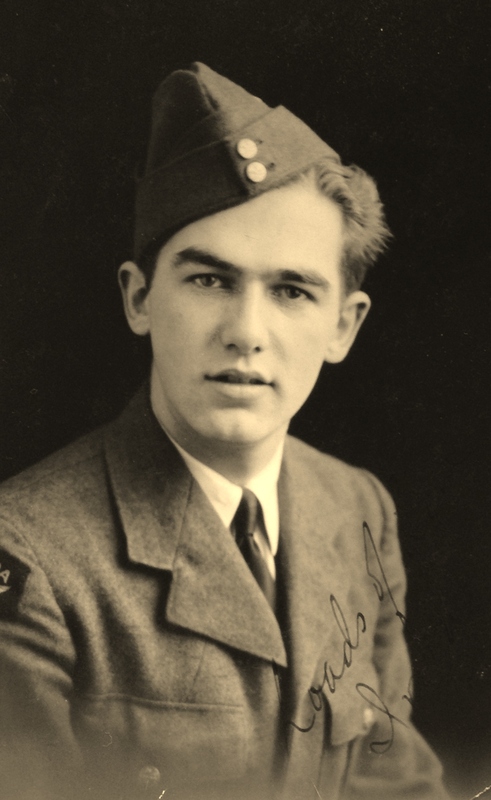 My father, George Nashen, served in the Royal Canadian Air Force and was stationed at RCAF Overseas Headquarters in London, England for nearly three years during WWII. Luckily, he was not called up to the front lines but his buddies were. Le parc des Vétérans, une parcelle de terrain située juste derrière l’hôtel de ville et la bibliothèque, se prête particulièrement bien aux activités du jour de la Victoire en Europe et du jour du Souvenir. Nous sommes vraiment chanceux d’avoir encore avec nous autant d’anciens combattants et de pouvoir marquer ces occasions en leur compagnie. Mon père, George Nashen, a servi dans l’Aviation royale canadienne et a été affecté au Quartier général à Londres, en Angleterre, pendant près de trois ans au cours de la Deuxième Guerre mondiale. Heureusement, il n’a pas été appelé en première ligne, mais ses copains étaient. Each year, I ask my father to take out his medals and his beret and to teach my kids about what it meant to serve Canada as a soldier. They listen in amazement at his stories, at what must sound like a very strange concept, as they reflect on their lives in the best country to live in, Canada. I salute my dad, today, Remembrance Day, once again. His bravery and commitment to stand on guard, to liberating those who had their freedom taken from them so many years ago, to keeping Canada glorious and free, shines like a beacon to my kids and our entire family. We’re proud of his accomplishments and grateful to have him, and my mother, as our bridge between our past and our future. Watch & Share: Safer cycling ranks high on my plans. I started the CSL Cycles route and lanes which I want to expand. I introduced the very first municipal helmet law in Canada! Regarder et partager: Le cyclisme en sécuritaire occupe une place importante dans mes plans. J’ai lancé le program Cycle CSL. J’ai initié la toute première loi municipale sur le casque de vélo au Canada! Watch and share: What do Dr. Mitch Shulman (CJAD and MUHC), fmr. Quebec Minister of Revenue Lawrence Bergman and Dr. Marc Afilalo (JGH) have to say about the Cote Saint-Luc elections? Regardez et partagez: Le Dr Mitch Shulman (CJAD et CUSM), ancien ministre du Revenu du Québec, Lawrence Bergman, et le Dr Marc Afilalo (HGJ) se prononcent sur les élections à Côte Saint-Luc. Écoutez ce qu’ils ont à dire. Watch and share: The history of CSL goes way back. Cool to see old photos from our neighbourhood from the 50s and 60s. But fascinating to see photos from 80 and 100 years ago. I started the CSL Historical Society to collect photos and memorabilia that we can share online and in our CSL Public Library. Please send in your really old family shots on our streets and in our parks to Memories@CoteSaintLuc.org. Regardez et partagez: Il est tellement intéressant de voir de vieilles photos de notre quartier des années 50 et 60. C’est fascinant de voir des photos daté de 80 et 100 ans. J’ai commencé la société historique de CSL pour recueillir des photos et des souvenirs que nous pouvons partager en ligne et dans notre bibliothèque. S’il vous plaît envoyez nous vos vieux photos de vos fammilles dans nos rues et nos parcs à Memories@CoteSaintLuc.org.